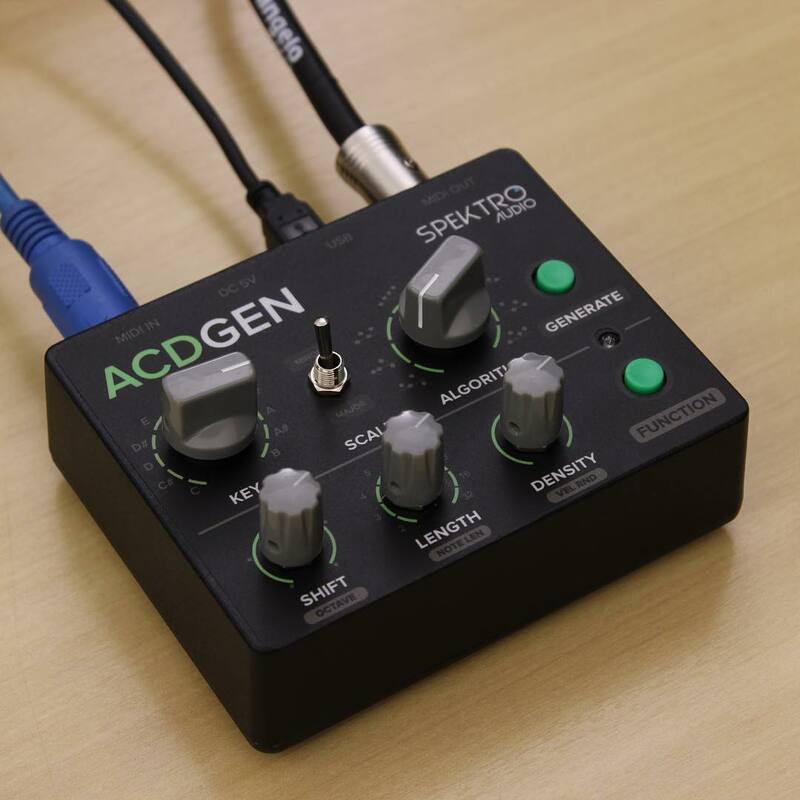 "ACDGEN – Hardware Edition is a limited edition hardware version of our ACDGEN Max for Live device. ACDGEN is a MIDI Pattern generator which lets you use different algorithms to create 16th-note, acid-style, basslines and melodies with a push of a button and manipulate them live using the different parameters available. You can use ACDGEN to create anything from acid house basslines to lush synth arpeggios. Besides including the same parameters available on the software version (Key, Scale, Density, Length, etc), the hardware version also includes additional features such as random MIDI velocity, Keyboard Shift, MIDI CC sequencing, Shift modes, Swing modes and more. The hardware edition is designed and handcrafted in Brazil by Spektro Audio and Vinicius Brazil, the creator of the Vinicius Electrik Eurorack modules."